Sweet Afghani Delicious Marijuana (aka SAD) is a feminized Indica Marijuana strain. Multiawarded, highly resistant to mold and fungi, and suitable for both outdoor and indoor cultivation. Sweet Afghani Delicious (aka SAD) is a feminized indica dominant Marijuana strain, coming from the sefl-polinization of one of the most vigorous, aromatic and potent mother plants from Serious Seeds. This mother of the famous Black Domina Cannabis strain has been selected since 1998 in order to reach SAD S1 today. Its effec is social and relaxing thus being ideal to socialize and to be quiet and at peace with the world. 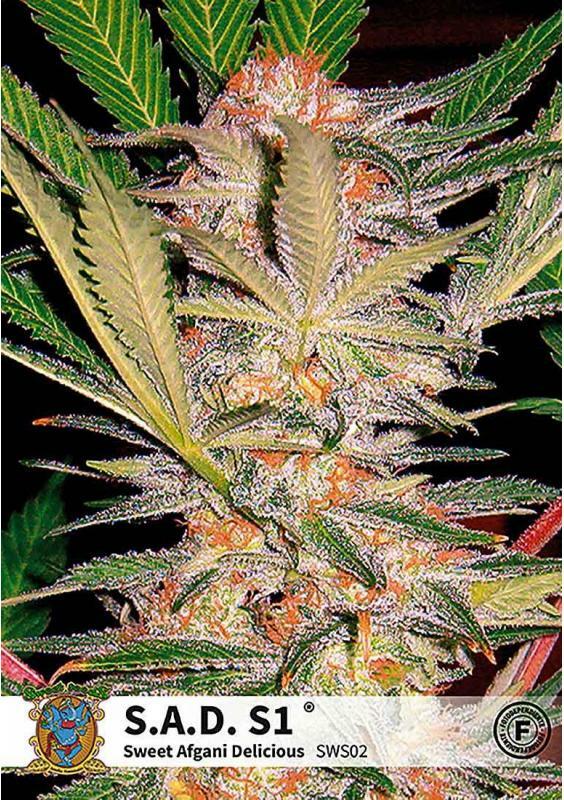 Its aroma is sweet and intense and its flavor is musky, a feature inherited from Afghan genetics. 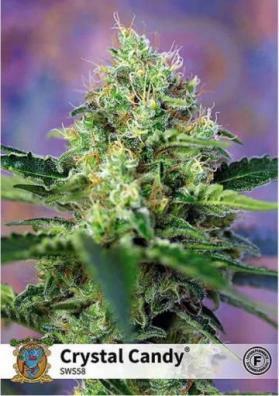 It is a 90% indica plant of a small and branched structure. Since this specimen is easy to grow and very resistant to pests and fungus it is very suitable for humid climates. After its development, SAD will have solid branches filled with dense and resinous buds. Although being indica dominant you will have to wait between 8-9 weeks, to collect high quality producitons of about half kilo per square meter. In the outside, the plant will be ready in late September, with crops that can yield, under optimal environment conditions, 550 grams per plant.